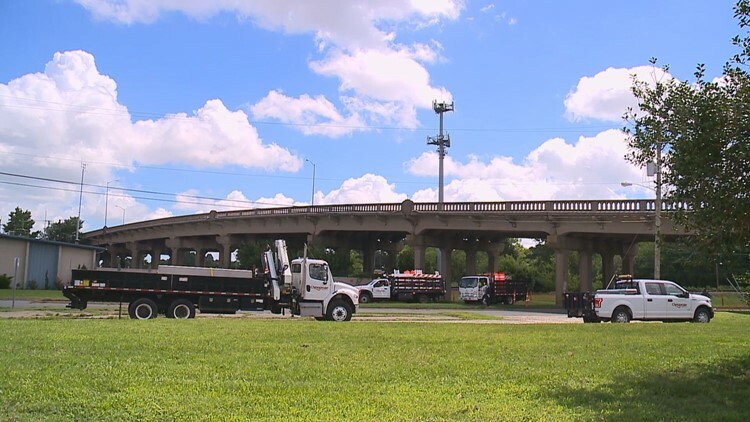 CHESAPEAKE, Va. (WVEC) — The 22nd Street Bridge in Chesapeake was abruptly closed Wednesday after public works crews discovered serious deterioration during their annual inspection. Drivers were startled to see large orange barrels blocking their way home. “Well, there are alternate routes but as you can see, they are surrounded by train tracks,” said David Sparrow. Residents said once you are stuck behind the railroad gates, you could be waiting there for 10, 15, even 20 minutes. “So when the trains are doing their thing, people can’t do theirs, I mean, go to work, or go to the baby sitter's early in the morning or in the afternoons. It’s going to be a big hindrance,” said Sparrow. Chesapeake Public Works estimates 7,000 cars a day crossed this bridge. They will now be redirected down Wilson Road, transforming it from a quiet, back street to a major thoroughfare. “I guess if children are playing outside and people are speeding through the neighborhood trying to get places, because I’m sure people are going to be pressed for time now. So I’m sure people will be speeding through the neighborhoods, so it might be dangerous for some of the residents that live in this area,” said Khadijah Jones. Greg Butts’ pallet business is across from Wilson Road. He said the increase of traffic is already noticeable. “It’s probably 20-to-1 now compared to what it usually is,” said Butts. He’s worried pickups and deliveries for his business will be affected. “It will make it difficult. I have big trucks coming in and out, it is two-way traffic but it will get congested,” said Butts. The 22nd Street Bridge, found in the South Norfolk section of Chesapeake, was built in 1938. The city shut the bridge down permanently on August 1 after serious deterioration was discovered during an annual inspection. The city has already secured the $20 million in funding to tear down the current 80-year-old bridge and build a brand new one. However, they were hoping the demolition could be avoided until next year. So too was real estate agent Armin Harris. “Construction work definitely affects the view of the area,” said Harris. The new bridge project is expected to begin as early as September and is scheduled to take 18 months to complete.